Captain Marvel steel book would be sweet! I’d love to have Bohemian Rhapsody in a Steelbook ! I would love to have ‘Avatar’ in a Steelbook format. I’d love to have The Matrix in steelbook! I would love to have the Predator in a Steelbook. Lord of the Rings in Steel book. “Jurassic World: Fallen Kingdom.” in a Steelbook! 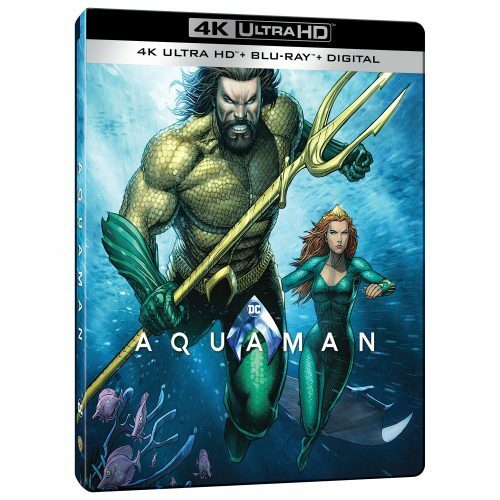 I’d love to have Aquaman in a Steelbook. I’d love to have A Star is Born in a Steelbook! 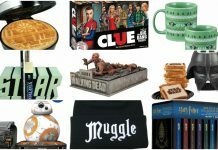 I’d love to win an Aquaman steelbook! I’d love to have this Steelbook release of A Star is Born! I would love to have “A Star is Born” in a Steelbook. I’d love to have Aquaman as a steel book. Jurassic world would be awesome as a steel book. I’d be thrilled to see The Doors Movie in a steelbook format. It is an old movie but being a Doors fan this would definitely be a great addition to my steelbook collection. I would love to have Lord of the Rings in Steel book. I would love to have a STAR IS BORN in steelbook. how cool ! 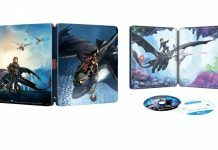 I’d love to have any Disney movie in a Steelbook. I guess that would make Star Wars and Deadpool part of that family now. I would love to have Spider-Man: Into the Spider-Verse in a steelbook. Just because that movie has incredible artwork so it deserves to be in a stylish case. Ghostbusters (the original one) is a steelbook would be amazing! I would love to have “The Matrix” in a Steelbook format. I’d love to have “Jurassic World: Fallen Kingdom.” in a Steelbook! I would love to have the rest of the 007 movies in steelbooks! Would like Jurassic World Fallen Kingdom Already have 3D version. will add to my growing library. 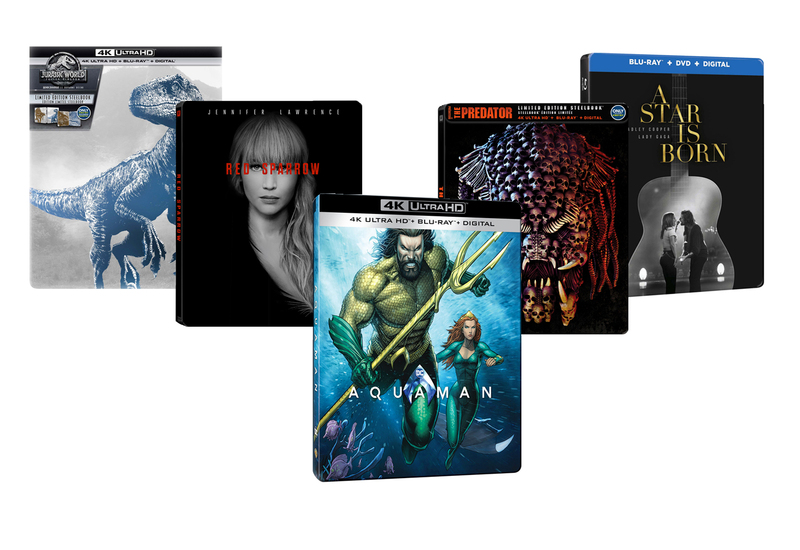 I don’t own any Steelbooks yet, but I’d love to own Incredibles 2 or Aquaman. I would love to have a copy of Stephen Kings “The Stand” on Steelbook! I would love to have Star Wars; the whole trilogy of trilogies, once it’s available! I’d love to have RED SPARROW in a Steelbook.